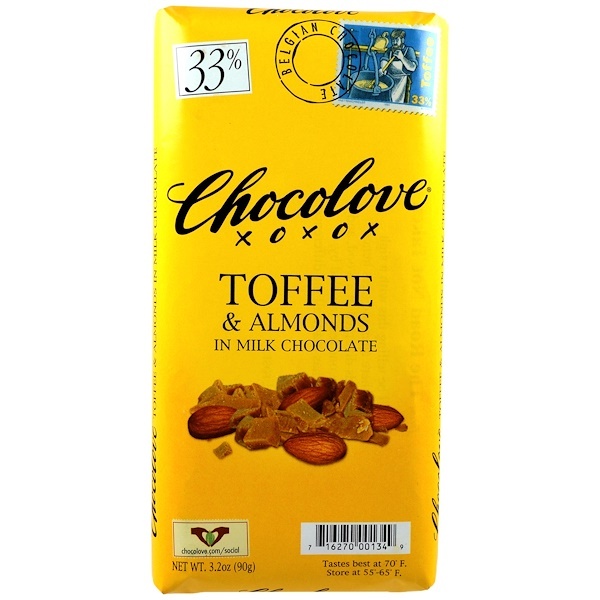 Chunks of almond toffee in smooth milk chocolate. 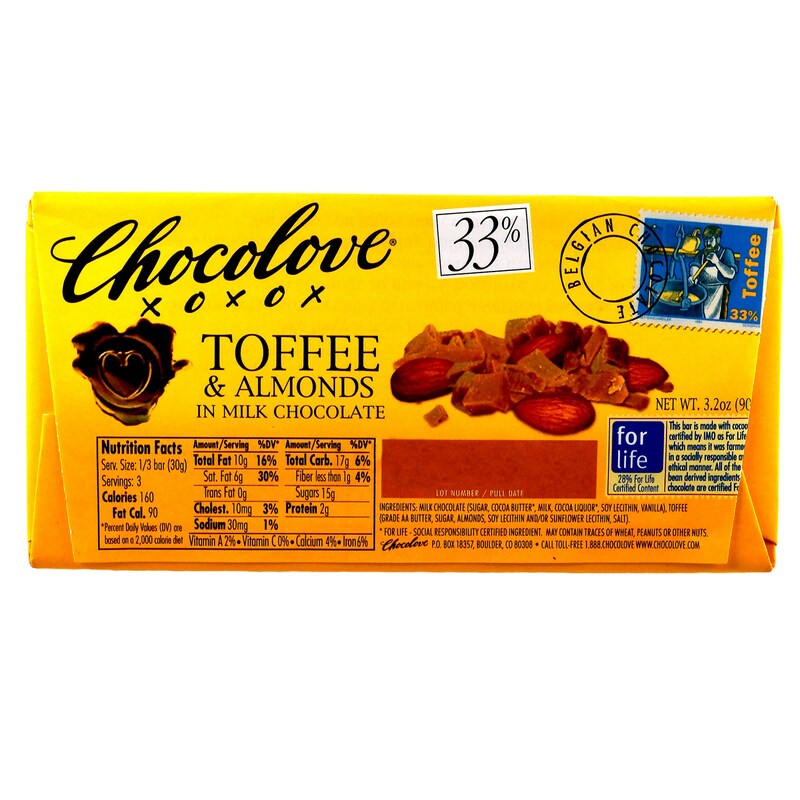 Creamy milk chocolate releases chunks of buttery sweet toffee and dry roasted almonds. The buttery flavor of the toffee swirls in your mouth as your tongue chases every last bit. For crunchier toffee, store in refrigerator. Milk chocolate (sugar, cocoa butter, milk, cocoa liquor, soy lecithin, vanilla), toffee (grade AA butter, sugar, almonds, soy lecithin, and or sunflower lecithin, salt). May contain traces of wheat, peanuts or other nuts.